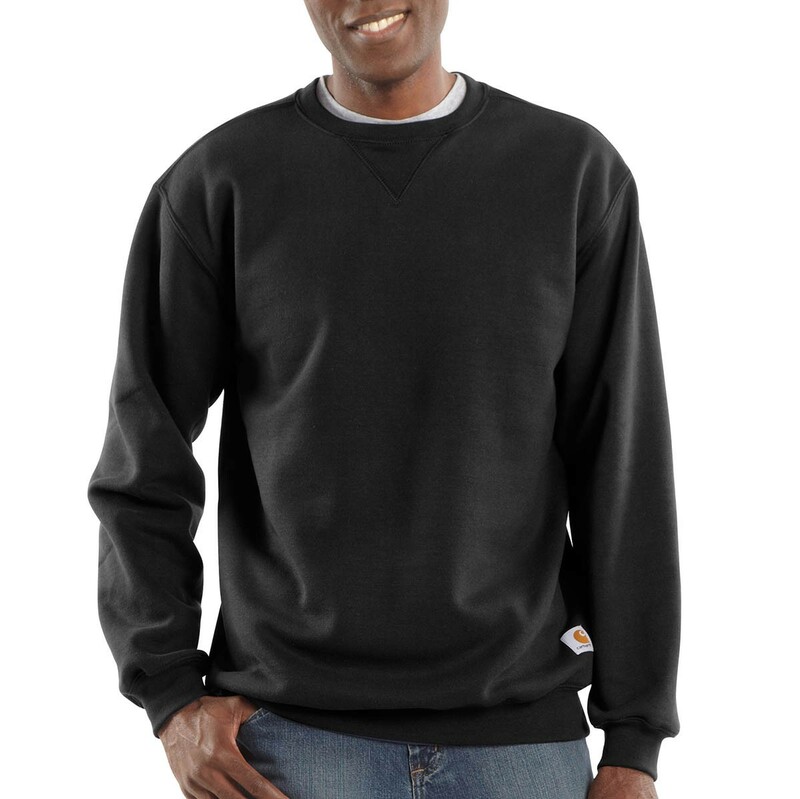 The Carhartt K124 Midweight Crewneck Sweatshirt is constructed from 10.5oz/356g 50% Cotton/50% Polyester blend and has an original fit. 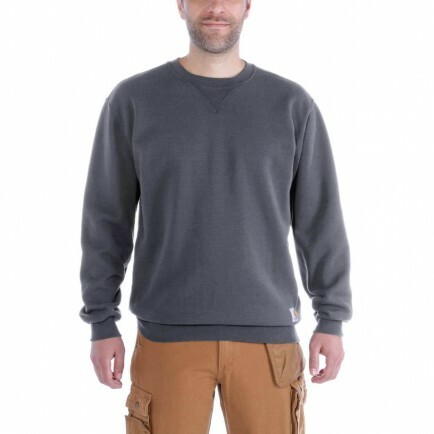 It has a front-neck v patch and stretchable elastane-reinforced rib-knit cuffs and waistband. The Carhartt label is sewn on the lower front. Carhartt garments are generously sized so you may wish to drop down from your regular size when ordering. 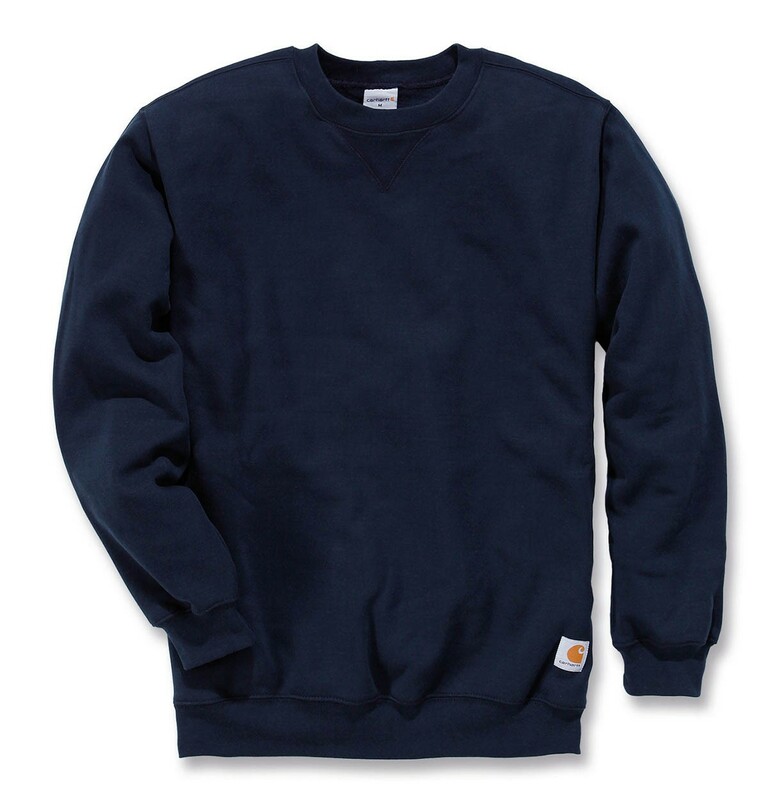 I previously posted a favourable review for the Carhartt sweatshirts ("This is large for size. It is hard wearing and warm. I thoroughly recommend. "), but that only applies to the navy and black. The light grey sweatshirt is in different material which pills very badly inside. I tried three washes plus brushing and using a vacuum cleaner to try to reduce the pilling, but had to conclude it is unwearable as it sheds on anything you wear above or underneath. I bought a light grey sweatshirt from a different manufacturer in the end. This is large for size. It is hard wearing and warm. i thoroughly recommend.